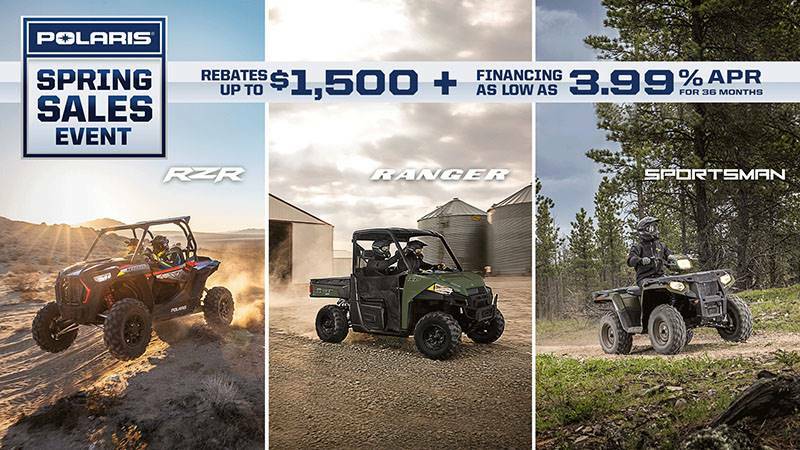 Now smarter than ever, Ride Command® is available on RANGER® with an off-road worthy 7” display technology and all the factory installed accessories you want for your premium machine — including front and rear cameras, plus the all-new in-dash speakers for the best in-cab sound system. Industry-leading utility SxS, with a premium RANGER Pro Shield™ Cab that keeps dust out 3x better than its closest competitor with factory-installed Heating and A.C. 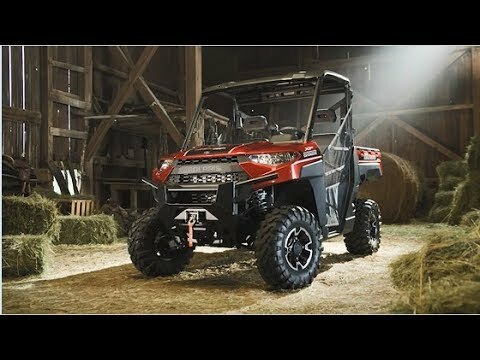 Turn power into productivity with the NorthStar Edition, delivering 82 HP, 62 lb.-ft. of torque, and 2,500 lb. towing capacity. This machine is purpose built so you can haul more, work harder, and get more done in comfort. 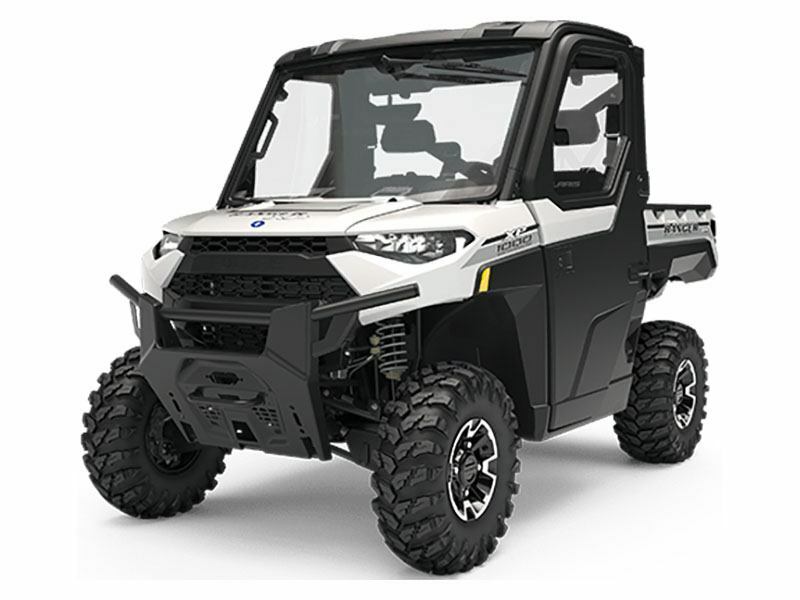 The NorthStar Edition is built to haul, with industry-leading 1,275 lbs. of payload capacity, innovative storage solutions, and 25% plusher seats. Never sacrifice comfort or convenience when taking this machine out for a day of work or a day on the trails. Our new one-piece chassis makes this beast more rigid and more capable of delivering a super smooth ride for anyone who loves to get off the grid. The NorthStar Edition's industry-leading 11” of suspension travel and 13” of ground clearance will conquer the rockiest terrains. UPGRADE TO RIDE COMMAND®: Now smarter than ever, Ride Command® is now available on RANGER® with an off-road worthy 7” display technology and all the factory installed accessories you want for your premium machine — including front and rear cameras, plus the all-new in-dash speakers for the best in-cab sound system. FRONT & REAR CAMERA: Connecting a trailer to your RANGER just got a whole lot easier thanks to the back-up camera. These features make any job, big or small, that much easier. NAVIGATION FEATURES: Use GPS to navigate the off-road, connect with family and friends through Group Ride to share the experience, and mark your best hunting spots with Way Point functionality. PREMIUM SOUND SYSTEM: Bluetooth® connectivity allows you to play the music you want when you want or listen to the big game with AM/FM radio while you work. All sound is delivered through new in-dash speakers for better sound quality. INDUSTRY’S BEST CAB SYSTEM: Large snow falls and freezing temperatures are no challenge for this premium machine. The Premium RANGER Pro Shield™ Cab System and industry-exclusive heat ensure extreme comfort for property maintenance, plowing snow or getting you out on the frozen lake. TOUGHER DOORS: The RANGER Pro Shield™ doors come with larger sealing surfaces, full crank-down windows and gaskets to keep the controlled temperature in and the dust out. CLIMATE CONTROL: Enjoy a comfortable ride with the factory installed heating and air conditioning. Equipped with defrost vents and windshield wiper for a clear view. EXCEPTIONAL INTEGRATION: The Polaris Pulse™ Electrical System powers your windshield wiper and dome light and allows you to add an enhanced audio system. FIT FOR A KING: The aggressive stance of this premium machine, with 27” 6 Ply Maxxis® tires and 13” of ground clearance, make it fit for a king. The full body skid plate delivers more under body protection from tough terrain and the class-leading 11” suspension travel delivers a smoother ride. MASSIVE BUMPER: The industry’s largest stock bumper is designed to bear the brunt of any terrain and protect the new body work and is loaded with accessory integration points. HEAVY-DUTY TIRES: The massive 6-Ply 27” Maxxis tires are taller and wider with a larger footprint, providing outstanding traction and puncture resistance for rocky terrains and cacti on the ranch. MORE PROTECTION: When the terrain rears its ugly head, the full-body skid plate and 13” of ground clearance provide the machine with more protection than ever before. BOX CAPACITY & VERSATILITY: The NorthStar Edition's cargo box redefines versatility with more cargo volume and innovative features that provide hauling solutions for any job. The new tailgate handle and latching mechanism make it easier to load and unload the bed box. 5-GALLON BUCKET RINGS: The wide box dimensions allow you to fit up to four 5-gallon buckets across a row of the bed so no item is left behind for the job. HALF TON CAPACITY: The 1,000 LB Box Capacity allows you to carry heavier, larger items. Fit a regular-sized pallet in the bed of your RANGER. REINFORCED TIE-DOWN POINTS: Utilize the four standard tie-down points to secure larger loads for any job.